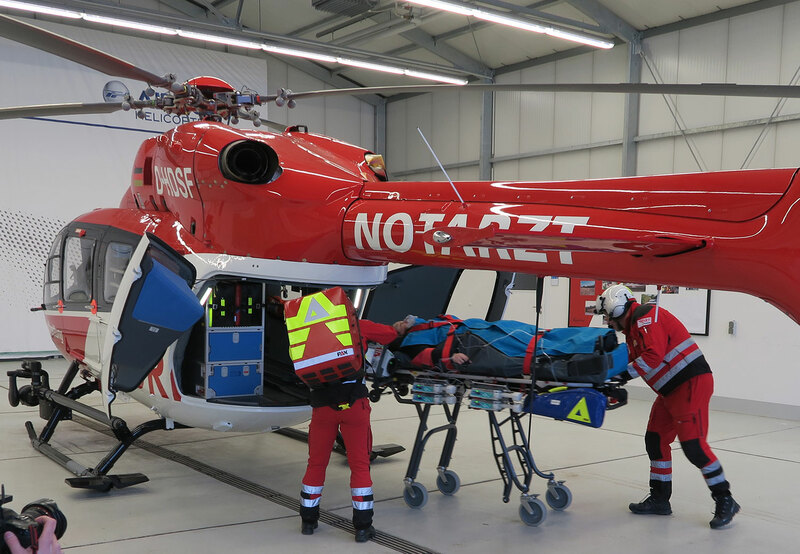 The world’s first EC145-T2 rescue helicopter was put in service yesterday in an official ceremony in Munich by the DRF Luftrettung. The installed rescue equipment AC70 has been developed by Bucher Leichtbau in close cooperation with ADAC and DRF over the last three years. The equipment is very modular and can be easily adapted to the needs of the operator within minutes. That means the same equipment can be used for missions such as inter hospital transports, emergency medical care, and disaster management. The newly obtained EASA certification (STC) covers a large number of different configurations. Next:Experience Innovation, Quality & Reliability. Experience Leichtbau.